Synchrony Bank has been accused of violating the Telephone Consumer Protection Act and violating the Fair Debt Collection Practices Act (FDCPA). Thousands of people nationwide who received artificial or automatic telephone dialing systems were involved in the Synchrony Bank TCPA Class Action Lawsuit and Synchrony Bank settlement. Since the settlement more Synchrony Bank lawsuits have been filed and attorneys are looking into recent Synchrony Bank TCPA violations. Send your Synchrony Bank TCPA Violations claim to a lawyer who will review your claim at NO COST or obligation. Complaints have been filed by people nationwide accusing Synchrony Bank of violating the TCPA by placing robocalls (a call dialed from a computer) on their cell phones without prior consent. Plaintiffs said they incurred either phone charges or reduced cellular telephone time by having to retrieve the messages left by Synchrony. The TCPA makes it unlawful to use an automatic telephone dialing system, or a pre-recorded or artificial voice, when calling someone’s cell phone. Unless consent is given, such a call violates the TCPA, regardless the purpose of the call. The only exceptions are emergency calls, including 911 calls, or the emergency line of a hospital, medical physician or service office, health care facility, poison control center, or fire protection or law enforcement agency. 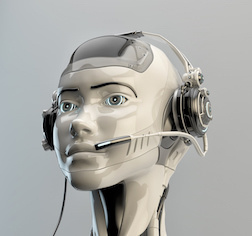 In other words, if an automated dialer (robocall) or pre-recorded or artificial voice is used to call or text message your cell phone, that call has violated the TCPA. The TCPA also prohibits pre-recorded messages for calls made to residential telephone lines, but it only applies to solicitations from telemarketers/sellers with whom the consumer does not have an "established business relationship." It also restricts telemarketers from calling consumers who have registered with the Do-Not-Call Registry. The TCPA provides for damages of $500 per phone call. And, if the recipient can prove the caller willfully or knowingly violated the TCPA, a court may increase the damages up to $1,500 per call. Plaintiff Avroham Deutsch filed a TCPA class action lawsuit on April 4, 2016 against Synchrony Bank and Amazon.com Inc., claiming defendants made numerous calls to his phone on a daily basis. Case Number: 3:16cv1673. Synchrony Bank counterclaimed, arguing it was entitled to a money judgment against Watkins for failure to pay the credit card bill. Watkins filed a motion to dismiss the Synchrony Bank debt collection counterclaim. Her TCPA lawyer argued the breach of the credit card contract constituted a separate transaction or occurrence. The debt collection claim was not relevant to whether or not Synchrony Bank’s use of the auto-dialer violated the TCPA. Synchrony Bank’s debt collection claim arose out of a State law breach of contract, whereas. Watkin’s claim arose out of a violation of a federal consumer protection law. In Watkins v. Synchrony Bank Case No. 4:15-CV-00842, the Court stated that allowing debt collection counterclaims by creditors would discourage victims of collection agency abuse from filing consumer rights claims in court. In 2015 Fred Horenburger complained to the TCPA that Synchrony Bank and Bank of America repeatedly called his cell phone, although he doesn’t have accounts with either bank and he told them repeatedly to stop. He filed lawsuits against the banks in United States District Court for the Southern District of Florida. (The cases have been assigned numbers 9:15cv80034 and 9:2014cv81600). He is seeking at least $500 for each call he alleges violated the TCPA. I have 3 accounts with Synchrony, all of which I have always paid on time by bill pay. My Amazon account began calling me 6 months ago. They claimed to have run my credit and found negative info causing them to close my account. They also claimed that I had missed payments that I promptly printed and sent to them. They demanded larger phone payments, which I made? I asked for copies of the last years statements three times before getting them..I found over $250 of charges of services that I had never before seen, nor was even aware of the purpose. They were also charging me $35 each month in late fees although I was never late? My payments. I was not aware they were owned by Synchrony. They could ruin my life! Synchrony bank allows me to have a credit with limit with gap for the amount of $300 and also care credit. Both of my accounts were in good standings paid off never late and recently they close my account when I called they stated it was closed due to the fact that Trans Union reported something negative on my credit report which was false. I contacted Trans Union asked where there any of my accounts in bad standing was there anything that I need to be aware of that would allow Synchrony Bank to make a decision to close my account. I was advised to dispute both of the cards to be removed off my credit report immediately for being closed. I also am requesting an explanation for where they were receiving that information from. A class action lawsuit needs to be filed against synchrony bank after reviewing views of other people with the same complaints. I was advised to dispute both of the cards to be removed off my credit report immediately for being closed. I also am requesting an exclamation for where they were receiving that information from. Our class action lawsuit needs to be filed against Synchrony Bank after reviewing other people such as myself experiencing account being closed which ruins your credit score they are fraud they are aware of what they’re doing and it is unfair that they need to be sued because they never notified me of any derogatory things on my credit report that they felt they have to write to close both accounts ruining my credit score that as Americans work so hard to keep in good standings. Please if there is any attorney out there that can represent all of us who ever experiencing this bank doing these acts please contact us or let us know who we should call they need to be shut down immediately thank you . Iam not sure that I was subjected to the violation TCPA , however I have credit account with Synchrony bank , and I have had a great deal of difficulty dealing . For example I requested to have automatic payment setup . I made arrangement with the supervisor . She walked me through the setup process . The following month when I called to check the account , and make inquiries about the autopay . The agent told me that no such arrangement was made . I was asked to go the the synchrony web site . Zero results. Absolutely the worst banking institution I ever worked with . Why do I have to call a foreign country to pay on my account ? I was on medical leave from work. At first they worked with us. When I started a new job due to medical reasons All was good until I had to work-part time on a new job for the same medical reasons. I got tired of Synchrony Bank. I got the runaround. They said the phone calls would stop but I needed to keep in touch, which I did. The calls did not stop and I got a certified letter saying I made no attempt to contact them. I got tired and went directly to Care Credit. I found out that $139.00 of my actual payment was going to ACC Security Insurance to cover the bill if we got sick. When I contacted the ACC Security about it. They said they could help us and trying to keep the money. We are trying to get our money back. We have paid in three times the amount of our actual bill. Only $10.00 goes towards the principal. This bank closed my accounts with them because they say that my credit score dropped, and my credit had excessive inquires and derogatory Mark's and derogatory Mark's, this is after they lowered my credit limits with them from 13,000.00 to 7200.00! To now close those accounts! But I checked my transunion report (because they state In the letter that the info they have is from transunuon) and I have a 647 credit score wich they said I have a 521 and I dont have a single late payment or derogatory mark on my 3 credit reports! Please help me, I have worked on my credit and still continue to. Please help me because the limits changing was so hurtful to my credit also 20-25 points and now the closed accounts?? Please help me I want to sue!! Bought a Bowflex home gym a in April of 2017. Received a bowlfex credit card in the mail from synchrony but no bill as of april 26th 2017. Worried about the lack of a bill and paying on time i went to their website and set up an autopay through their site. Synchrony sent an email outlining that bill pay had been set up for the following 11 months then began sending regular emails saying bill had been paid and statement was ready. I never opened these emails or bothered to log on to the account at this point, thinking everything was fine and the bill would be done paid in full at the end of the 11 months. A few weeks after the last payment i began receiving the phone calls. Seems that Synchrony had set the bill due date for 1 week earlier each month from the date that i had set up on the autopay and had charged me a fee every month for the last 11 months plus interest. All said and done i stilled had a balance of $460 after the last payment was made. I paid their blood money to preserve our excellent credit and will be going to the district court house tomorrow to initiate a lawsuit. My husband and I recently paid off the two accounts we have with Synchrony Bank on 2 Apr 18... one with Haverty's and the other with Lowes. Then my husband called a few days ago asking why our credit report did not reflect the correct amount. My husband requested for the bank to notify the credit agencies ASAP. In stead the bank lowered our available credit limit to $100.00 and never reported the fact we paid off the accounts in full. In fact, the bank owes us money... 0.14 (cents) on Haverty's and 0.03 (cents) on the Lowes account. My husband called again today (19 Apr) and they stated they pulled our credit report, are sending a letter, and stated we missed payments (we never have missed a payment, not even late) and for other reasons undisclosed. Even our credit report shows no payments missed or late, EVER! Then we look up complaints against this company and then this... class action lawsuits... multiple class action lawsuits. How is this company authorized to even operate? This is defamation of character and fraudulent. Not to mention, my husband just retired from the U.S. Army having served 35 years in uniform... what a way to say thank you for his service but to only try to hurt him / us! Well, now he is seeking help so if anyone (attorneys) are willing to help us please contact us ASAP as we are ready to sue this bank. We want Synchrony Bank to be brought to justice! My husband and I have several accounts with GE and have received so many harassing calls from MANY unknown numbers. Numbers with different area codes calling consistently regarding our account, to silicate services etc. we have a strong belief that they sold our numbers and information to multiple calling centers. We reguarly screen our calls because of this. I don't know what is going on with Synchrony. I opened a Discount Tire CarCareONE account with them when I bought tire at Discount Tire. After doing so, I never heard from them again. I never received any monthly payment invoices. Nor did I receive any correspondence as to the reason why they where not being sent. I did visit Discount tire several times and called a number they provided. However, Synchrony did not address my concern. It seem as if they had forgotten me. Soon or later, I expected tem to get their act straight. I work in Customer Service and know that sometimes "things happen". To my dismay, I learned that Synchrony charged off my account to a company named Midland Credit Management who is now suing me for non payment. This situation is absurd. I was never given any opportunity to make kind of payment to them. They sold my account without giving me any chance to rectify the adverse situation that was totally caused by their negligence. I am livid. This matter has caused me great harm to my credit score. This in turn has caused me to delay sorely needed home improvements, dental and other medical procedures. ANYONE OUT THERE EXPERIENCE THE SAME PROBLEM ?? I am having the same issues as Amanda, Amy,Cassandra and there posted above. Also discovered that sychrony bank is directly related to debt collectors underdifferent names. They also went into my bank account unnathorized and took thirty dollars under a false name but when I called the number she said she was trying to satisfy a loan on sychronybank. Is that a legal move. Looking over my credit report which I pay to have monit- ored , sychrony and some credit agency has been ticker in with it since may 2017. My care credit first payment was due Feb 19,2017. Made payment by phone on Feb 17th and it had a late charge that even the csr couldn't explain. I was given a special financial arrangements and they are not honoring it from the beginning. I have asked to be put on auto pay and have it payed on the 6th not 19th. Told had to go online to set up no good. As to talk to ac outing dept,all we get is csr and robocalls. I suspended my bank acCT. Dont know what to do. I don't understand how this bank can get away with what they do. They are basically loansharks. They are currently and systematically ruining my credit. They need to be stopped. when you call them they don't even want to talk to you. I don't understand how they can do this to people and continually get away with it. I went inside the store and applied. I was approved but then my account was restricted until I proved my identity. This is the repeated cycle for Synchrony Bank. They continue to approve accounts. I receive my card but they wont even activate them or I will use them once and they restrict them. I have mailed proof of my identity via overnight and certified mail but they continuously claim they haven't received it. This seems like some sort of fraud. I have issues with Synchrony Bank related to how they have handled the credit limits on my accounts. I have never been late on either of my accounts with them. I would like to discuss with an attorney, if possible. After doing some research, there are A LOT of people that has the same issue. Angelina, I am curious if your problems stem from what was an HHGregg bill. I have just discovered what I think may be some illegal practices by Synchrony in an effort to have me default on my payments, thus incurring full 2 years worth of interest when the loan should have been paid off using their automated system. I type all this out because I cant imagine I am the only one dealing with this. I have other issues related to Synchrony Bank which I would like to discuss with an attorney if possible. I receive excessive calls from suspicious numbers daily then when I answer its Synchrony Bank harassing me. Now that I have refused to pick up calls because I can detect when the call me I have given the various numbers names no I get a letter in the mail from various attorneys stating that they want to help me because a lawsuit by Synchrony Bank has been filed against me, although I have never received a letter from them. I revoked permission for them to call my cell phone after receiving calls multiple calls for being 1 day late. In turn, my credit limit was dropped and a pending purchase pushed me over my limit. In trying to make a payment, they demand I give them my cell phone and agree to take robocalls or I cannot make a payment.